New Friday the 13th to Introduce Jason's Dad? 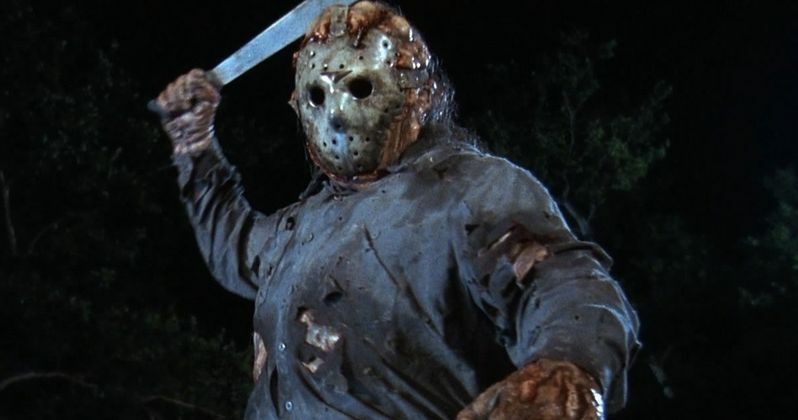 Earlier this week, Friday the 13th producer Brad Fuller said that the upcoming reboot will offer a new origin story for the iconic Jason Voorhees. The producer wouldn't shed too much light on what this origin story will entail, but he did tease that the plot crafted by screenwriter Aaron Guzikowski has "great characters." If a new report is true, it seems one of these characters may in fact be Jason Voorhees' long-lost father, Elias Voorhees. Birth.Movies.Death's sources claim that Elias Voorhees will be featured in the story, but it isn't known how large or small a role he may play. While we have never seen Elias on screen in any of the previous Friday the 13th movies, the character has been referenced in the past. The original ending of Friday the 13th Part VI: Jason Lives featured Elias visiting the empty grave of his son, but it wasn't used in the theatrical cut. Elias is also referenced in Jason Goes To Hell, which reveals Jason's half-sister, Elias' daughter, and he was also featured in Friday the 13th: Pamela's Tale, a comic book that revealed Jason's mother Pamela Voorhees murdered him because of his abusive nature. Brad Fuller explained that this new story will offer an origin that no one has seen before, so it makes sense to have Elias be a part of the plot. We don't know for sure if any of the previous references from the movies and comic books were used in the script, or if the producers have even started casting for the role yet. That seems unlikely, though, since no cast members have been attached at this time. Andrew Form, who is producing with Brad Fuller, teased in March that it will be a period story, hinting that it may go back to the 1980s. The original Friday the 13th movie was released in 1980, spawning nine sequels, ending with 2002's Jason X. The horror icon returned in 2003 with Freddy vs. Jason, and Derek Mears took over as the new Jason in the 2009 Friday the 13th reboot. There is even an upcoming Friday the 13th video game that fans are very excited about. We still don't know for sure if Derek Mears will return as Jason, or if they're casting a new actor for this celebrated role. Paramount has set a January 13, 2017 release date for Friday the 13th, but with no actors currently cast, or a director on board, it seems likely this will be delayed yet again. If it does stay put in its current release date, it will be going up against Warner Bros.' Geostom, Paramount's Monster Trucks and 20th Century Fox's Hidden Figures. We'll be sure to keep you posted with more updates on this Friday the 13th reboot as soon as more information is available.